What will happen if I become a better presenter? If you are like most people, your career will take off! Regardless of how much knowledge you have, via degrees or experience or both, the knowledge has limited value when you struggle to articulate and share it. I was taught “Life gets better when you get better.” Even though I found myself with 2 degrees (Engineering and an MBA) nothing really out of the ordinary was happening in my career. Then I got some help with my real barrier, presentations! 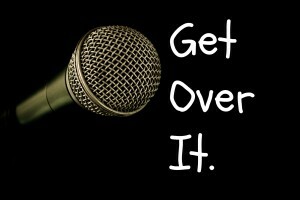 I hated it, I avoided it, I ran from it, I made excuses – anything but speak up in groups or worse – stand up in front of them and speak. But once I faced the issue and learned some of the mechanics of how to do it, my confidence started to rise. Once I got this, doors started to open. People wanted to include me. They wanted to hear my ideas. I always feared I would have to get up and give a presentation to 100 people. I certainly could not focus on that crowd. I needed to focus on the real crowd. The real crowd was 7 people. If your opportunities are like most people, your value is most often when you can share your ideas (and questions) with a small group of co-worker and manager in a meeting room. The sweet spot for the majority of presentation will normally be in a group of 5 to 12 people. But once you get comfortable with the small groups you can push yourself a little. Go to some association meetings or volunteer for a charity. This will normally get you opportunities to talk a little in front of groups in the 20 to 50 range. This might be just answering a question or doing a short introduction. When you get comfortable, add on a little. If you feel like going further, you can certainly go beyond and be the presenter at these larger industry association meetings. You already have good ideas. Organize them and share them and doors will open, I promise you! I hear what people say when I am sitting in the audience. I hear things like: “Wow, we need her working for us.” Doors will open and you will have more options. My professional choice is to be in the training and consulting world. And yes it is my choice. I have lots of other options. I can easily go the corporate route. But the point is: Doors are open. • Occasionally deliver paid presentations. Imagine if you did just 1/10 of that? I am not asking you to do all this. I am asking you to focus on giving good confident presentations in the sweet spot of industry – groups of 7 people with you sitting at the table and asking powerful questions, sharing your ideas and building on the ideas of others. I know I tend to make all this sound easy – it is not. It takes work. But if you had a guide (an instructor) to lead you through the process of how to give presentation and how to minimize the fear, then your career can take off too. 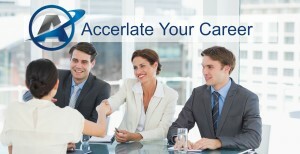 That is what we do in the Accelerated Professionals Course (acceleratedprofessionals.com). We take you through it, step by step, building on each layer. I look forward to helping launch your career! 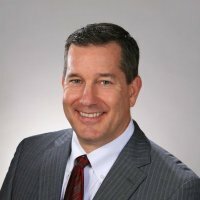 John F. Graham is Co-Founder of Accelerated Professionals. Accelerated Professionals is a course for young professionals that bridges the gap between business operations and the board room. If you’re looking to increase your prospects of moving from support staff to management, our short 6 week course will give you the boost you needto present yourself confidently and get the executive staff to lean in when you speak.